Imagine people looking to you for guidance in an inspiring retail environment that you have created. Imagine you have manifested your dream of opening a New Age store and are now attracting grateful customers and greater prosperity into your life. When you open a New Age store (also known as a metaphysical store) you will serve a growing community. Recently there has been a significant increase in public interest in New Age philosophy. As the success of the best-selling book and DVD 'The Secret' has shown, people are hungry for information and inspiration to help them achieve what they want in life. The desire for greater awareness led millions of people to participate in online classes on A New Earth, led by Oprah Winfrey and author Eckhart Tolle. When you open a New Age store, you will have the luxury of selling the types of products you want to. You will have the freedom to make your own choices and express your own creative spirit. For example, you might choose to specialize and open a New Age book shop or a New Age gift shop focusing on stones, crystals, candles, and incense. In addition to selling products at your New Age shop, you can increase your revenue by teaching classes, hosting special events, and renting space to healers. 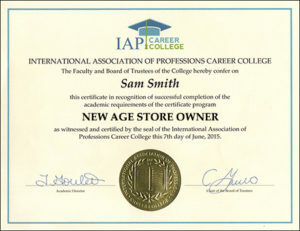 There are many benefits to creating your own New Age store, in addition to making your dream come true. You will grow personally. You will become the expert in all that you offer to your clients, and you will find new ways to influence your world, and those who inhabit it. 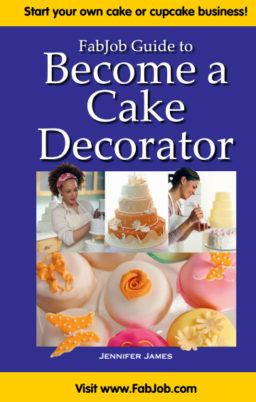 You can also earn a good living doing what you love. If opening a New Age Store sounds like the career of your dreams, the FabJob Guide to Become a New Age Store Owner is for you! In this e-book you will discover how you can start a successful New Age business. In addition to working with a New Age store and other metaphysical businesses, author Pamela White also teaches workshops and seminars on a variety of New Age topics. 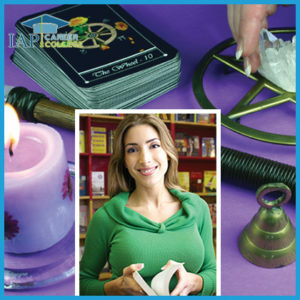 In this guide she offers insider tips and expert advice from successful New Age store owners and experts. You can have all this and more for an incredible price. It can cost hundreds of dollars to take courses on starting a business, and chances are they will not include specific information about how to open a New Age store. The FabJob Guide to Become a New Age Store Owner contains some of the best business advice you could get from other sources, plus much more. The information in this guide can save you many hours of research, help you avoid some costly mistakes, and give you information you need to open your own new age store. 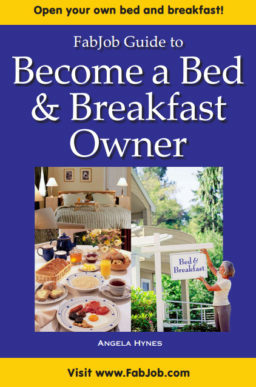 You can earn back the price of the guide your very first day in business. 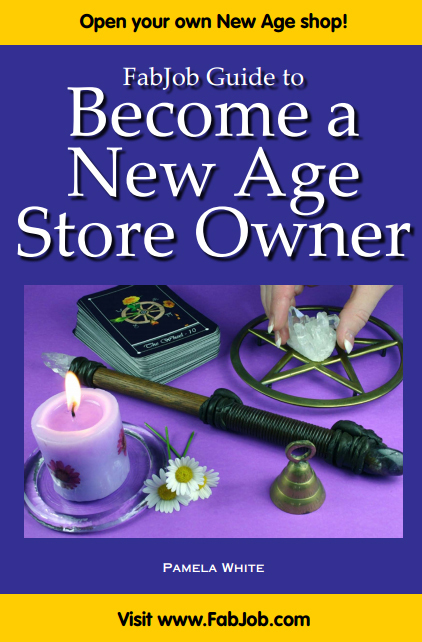 Plus this guide can help you open a New Age store much more quickly and profitably. If you believe you deserve to have the career of your dreams, this guide is for you. 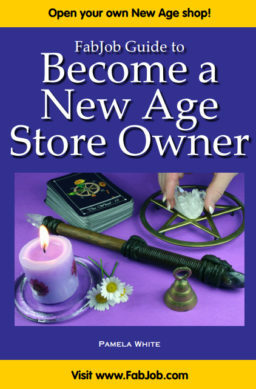 It gives you what you need to know to open a successful metaphysical or New Age store.